The Azure Ozone Generator is a small general purpose corona discharge ozone generator that can be used to circulate water in a JoJo (or similar) tank for home use. 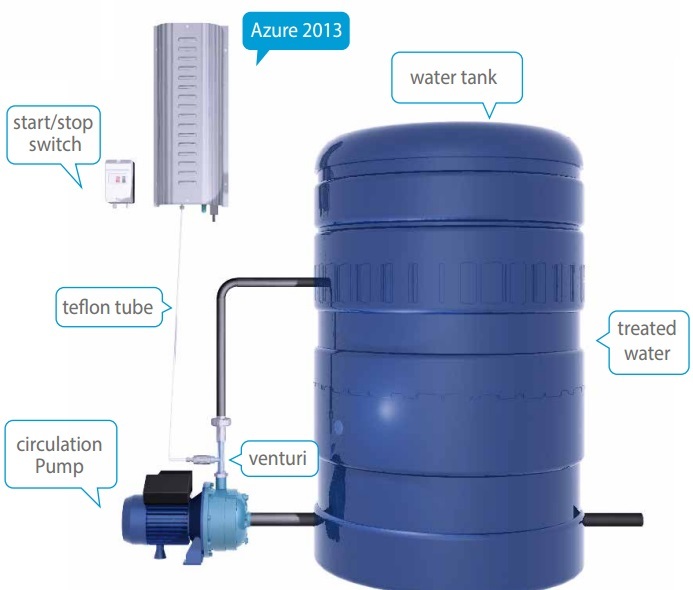 Rainwater Harvesting Cape Town – Follow the link for a full explanation of this system. If you are looking for high quality Ozone Generators, with backup and service to match, you’re in the right place.